The use of specially chosen EL34's in the output stage, gives the Cayin CS-100A EL34 that magical organic quality that we love in the world best tube amplifier designs. This unique design from Cayin gives you one of the most musical amps of its kind at anywhere near this price point. Time and time again, this amplifier wins out against far, far higher price amplifiers - and for good reason. The richly deserved 'Golden Ear Award' gives those who have not heard this amplifier a clear indication of it's musical prowess ! This design utilises eight EL34 tubes in the output stage, allowing the EL34's to operate comfortably within their power operation window, therefore the result is an effortless delivery of beguiling presentation, which keeps the listener coming back for more ! The support work is done by matched sets of 6SN7, 12AU7EH and 12BH7EH. Incredibly high-quality Alps potentiometers are used, and in conjunction with precision film resistors, and ceramic bases plus special audio capacitors , the Cayin CS-100A EL34 pushes the boundaries of what is achievable at this price point. 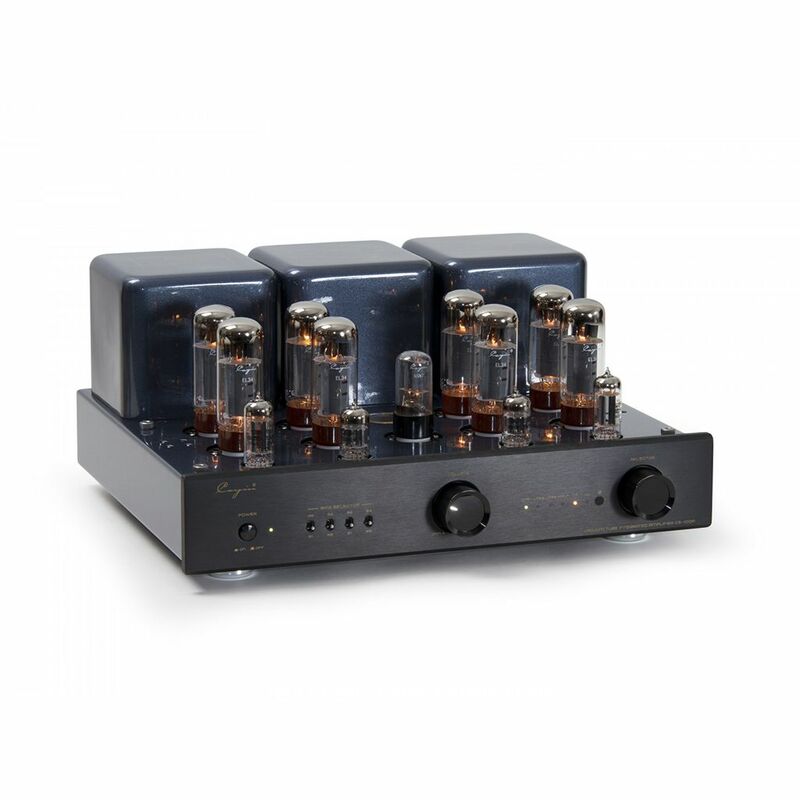 Cayin also understand the huge importance of high quality power supplies, and the heavy duty/bespoke toroidal transformer adds the perfect power underpinning to this world class amplifier. Cayin also manufacture the system remote completely in-house, keeping to their ethos of "Application Of The Ultimate Quality At Every Stage". At its speaker terminals (taps available for 4 and 8 ohms), the Cayin CS-100A / EL34 delivers 75 watts per channel in class AB ultra-linear mode and 40 watts per channel in triode mode - this power delivery allows the Cayin to easily drive any loudpspeaker of choice to the very highest musical levels.